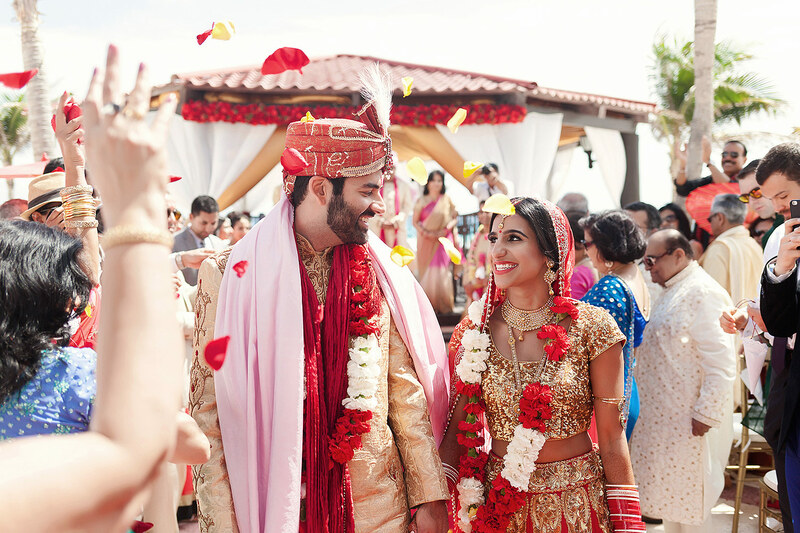 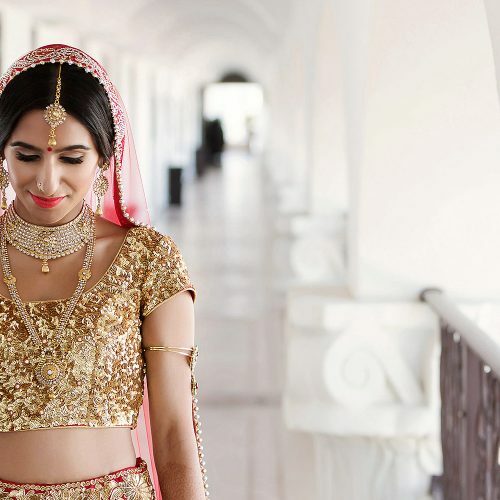 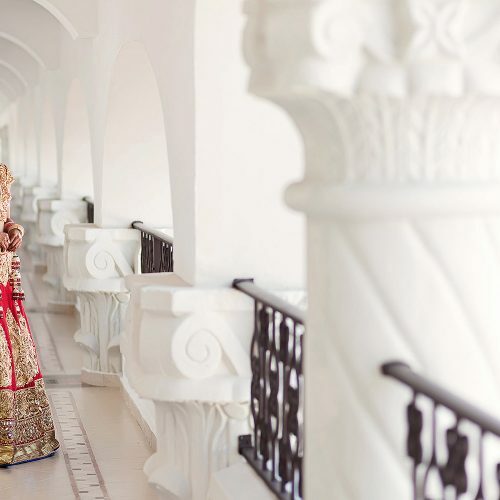 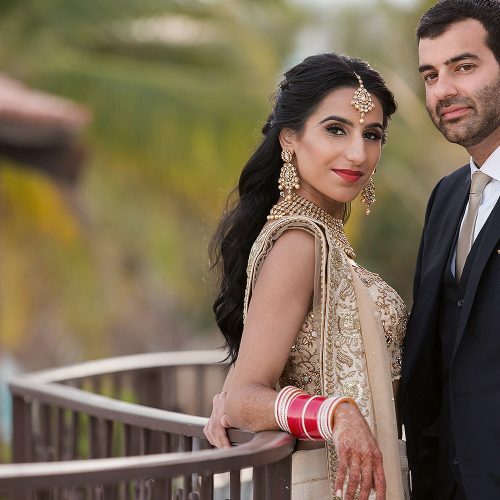 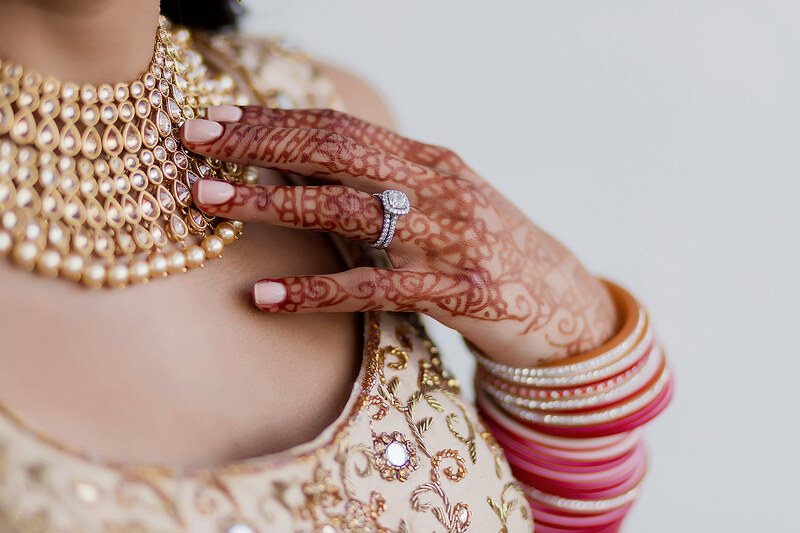 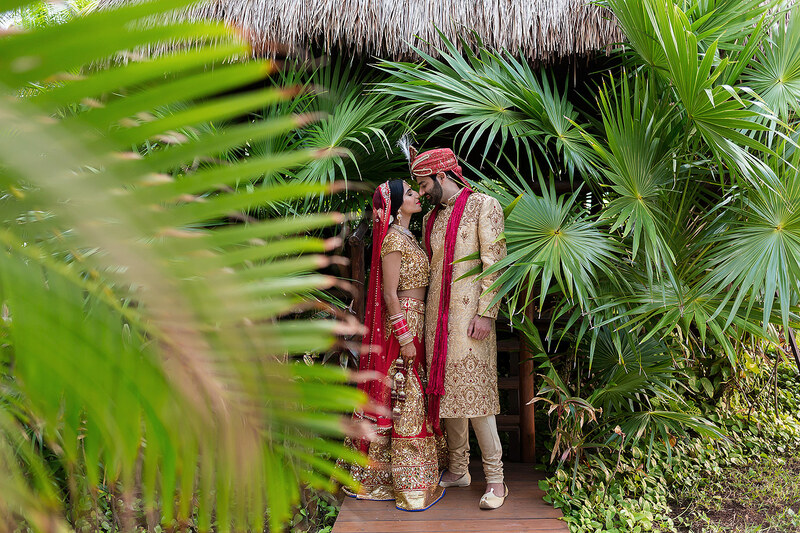 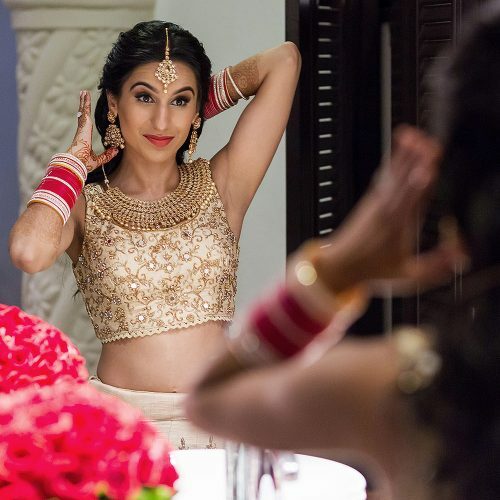 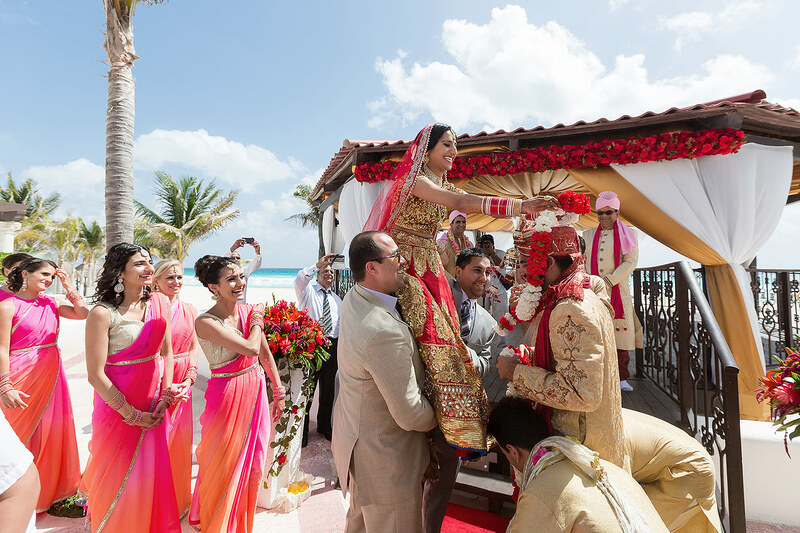 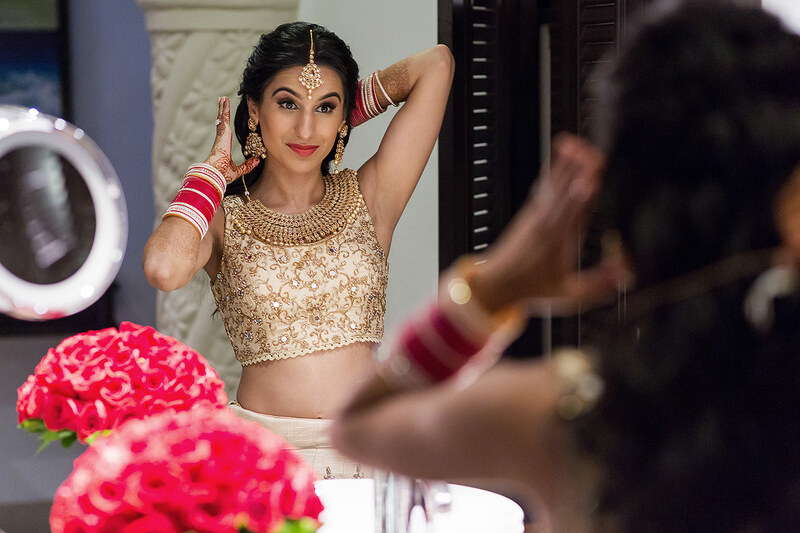 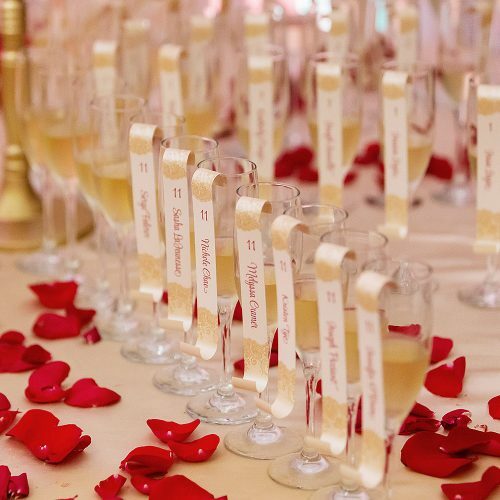 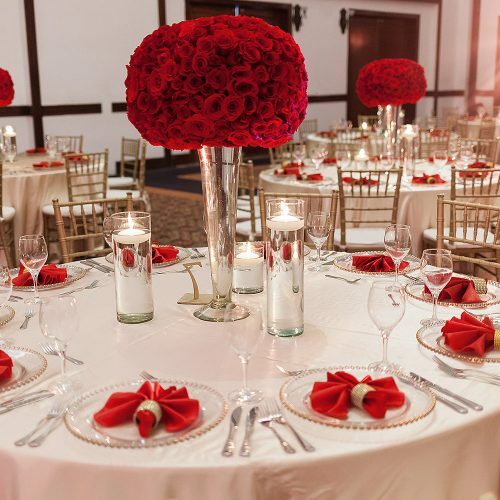 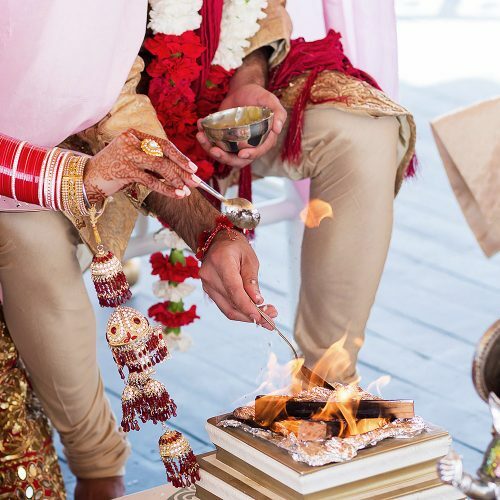 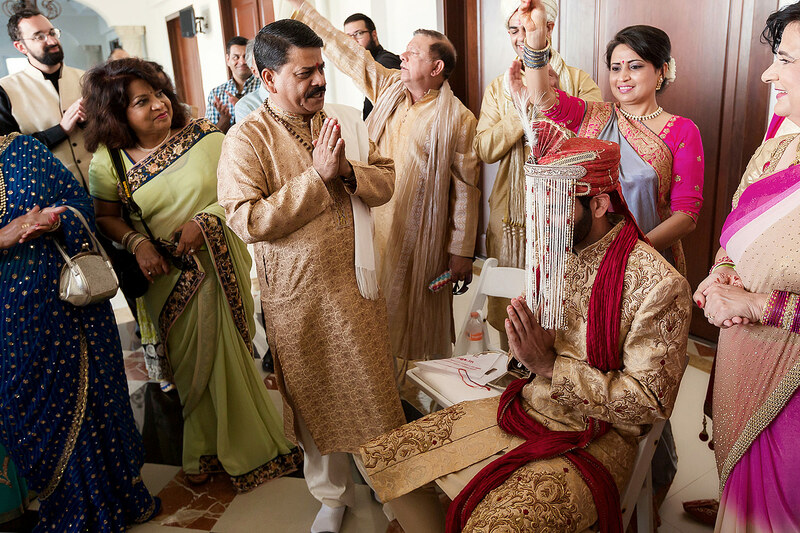 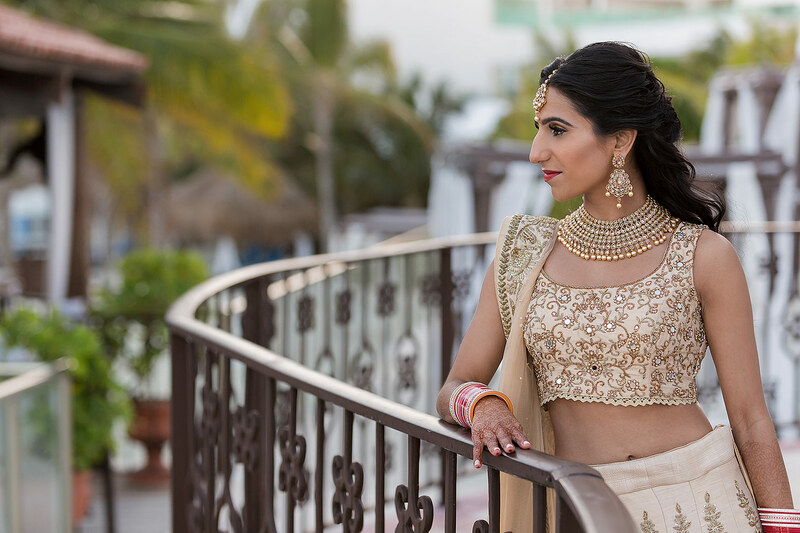 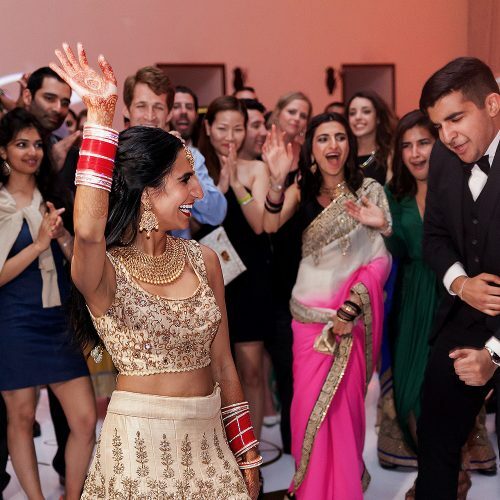 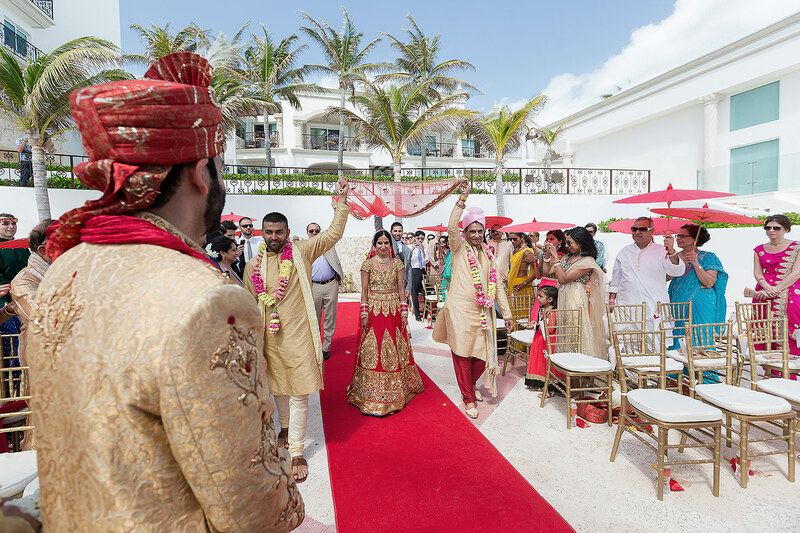 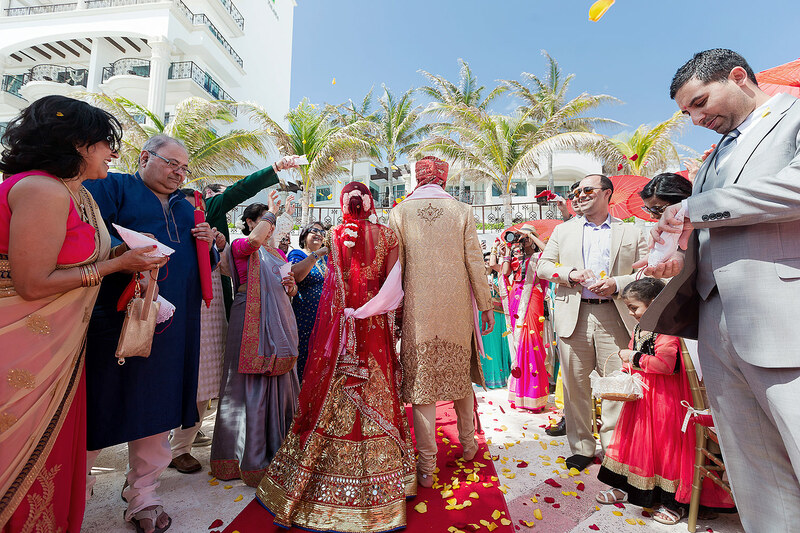 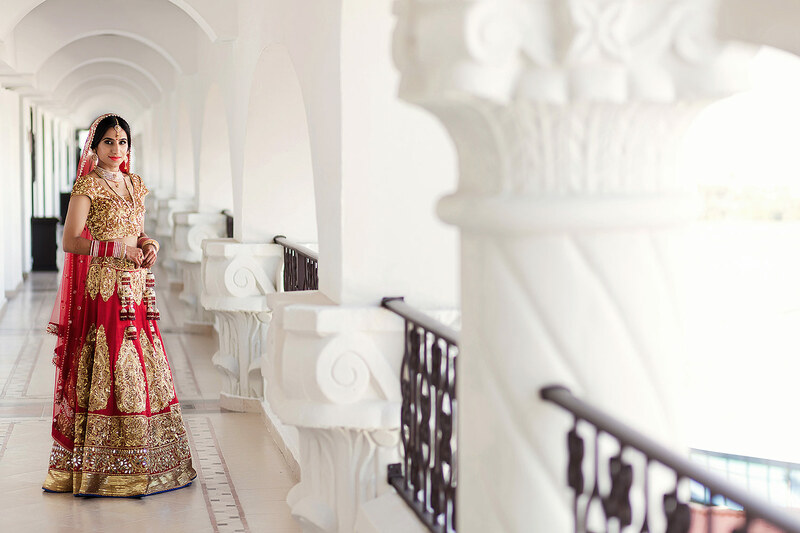 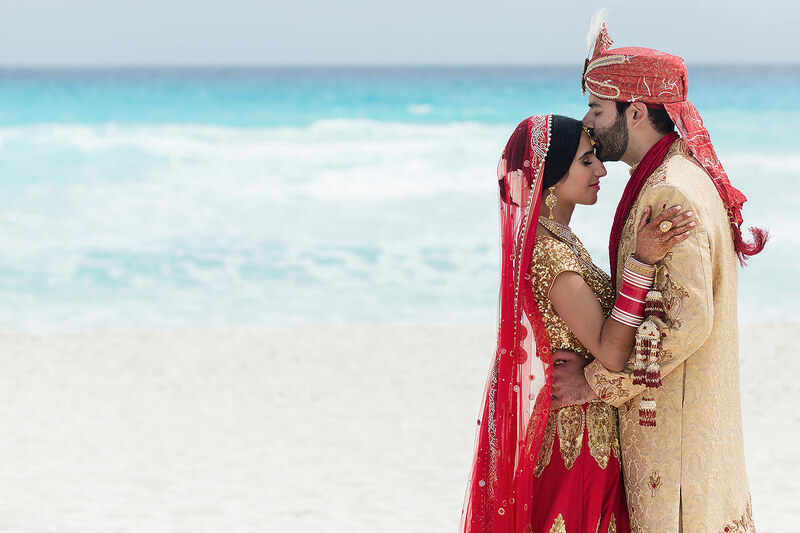 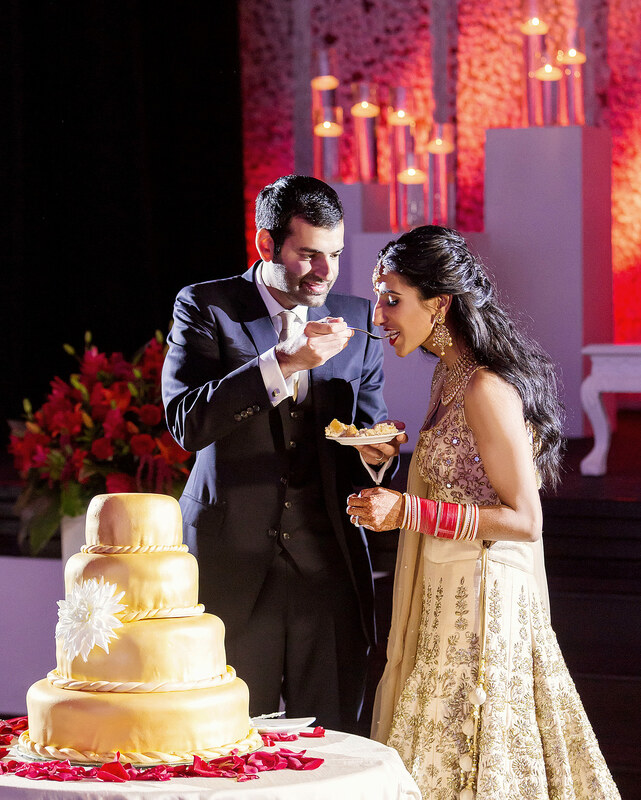 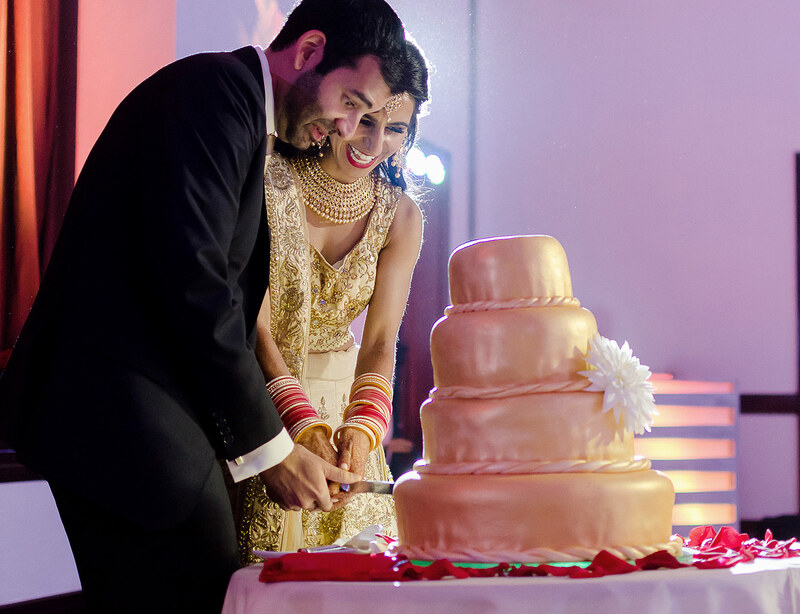 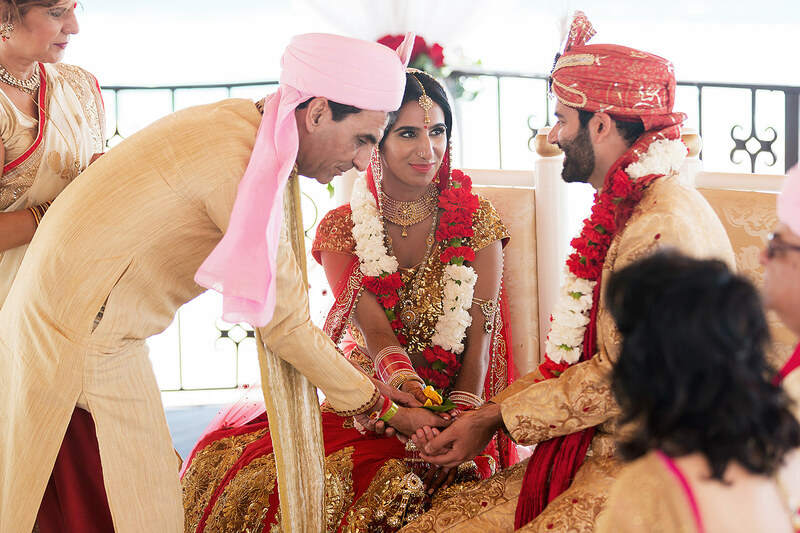 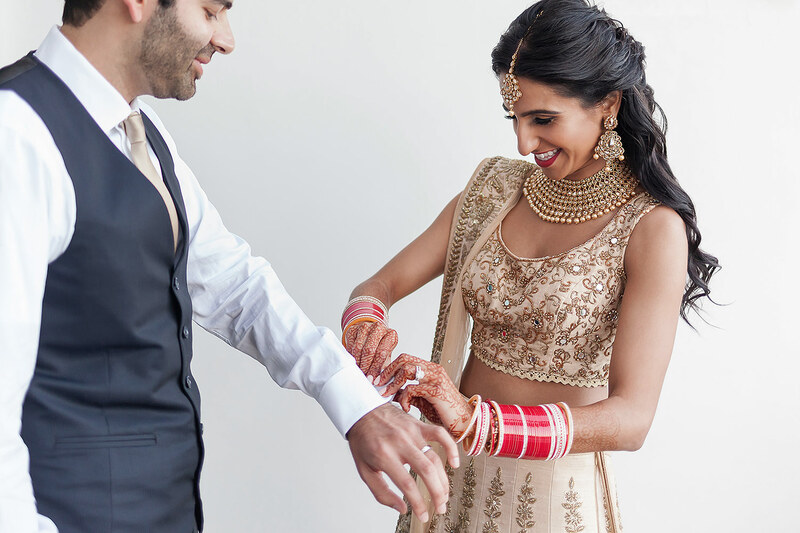 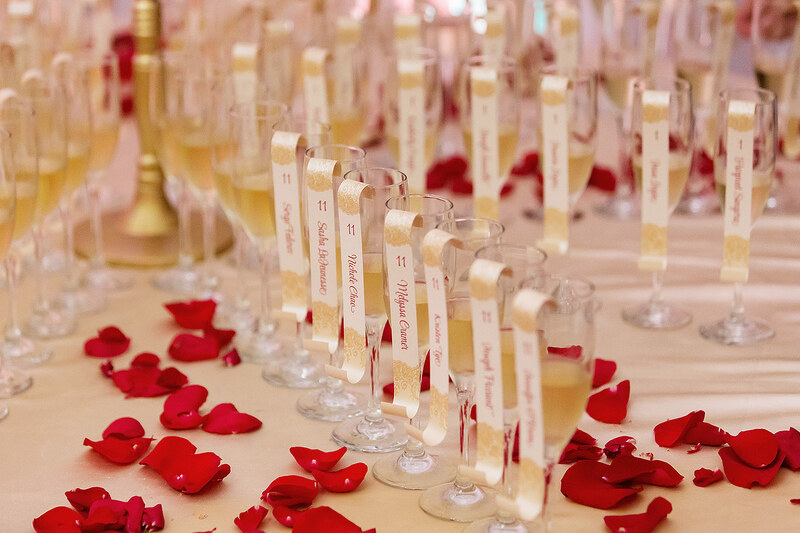 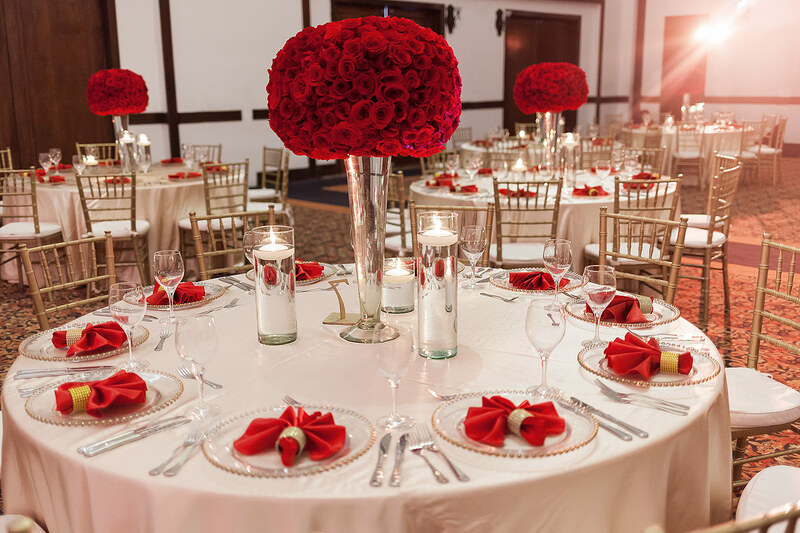 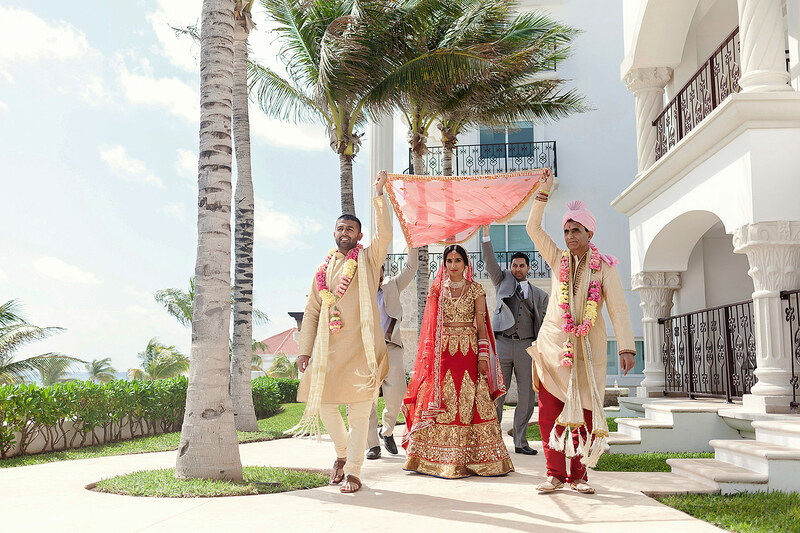 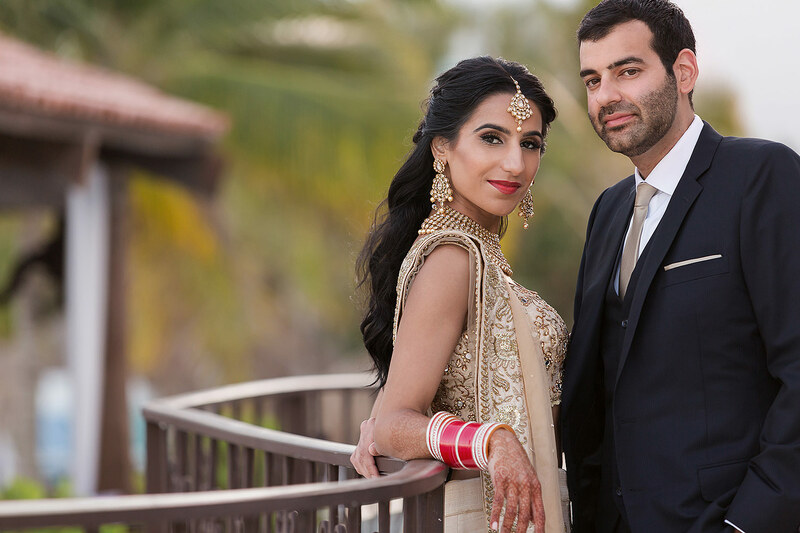 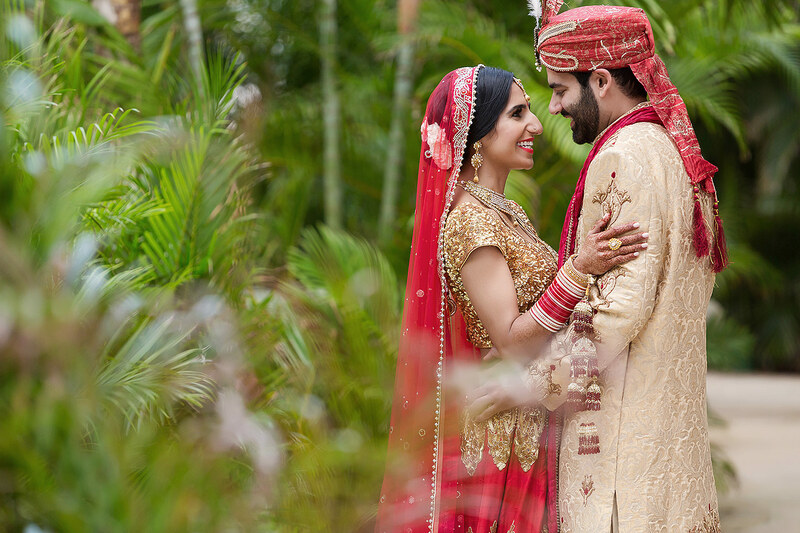 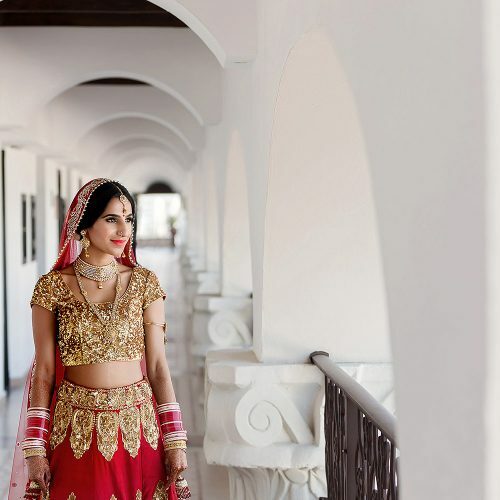 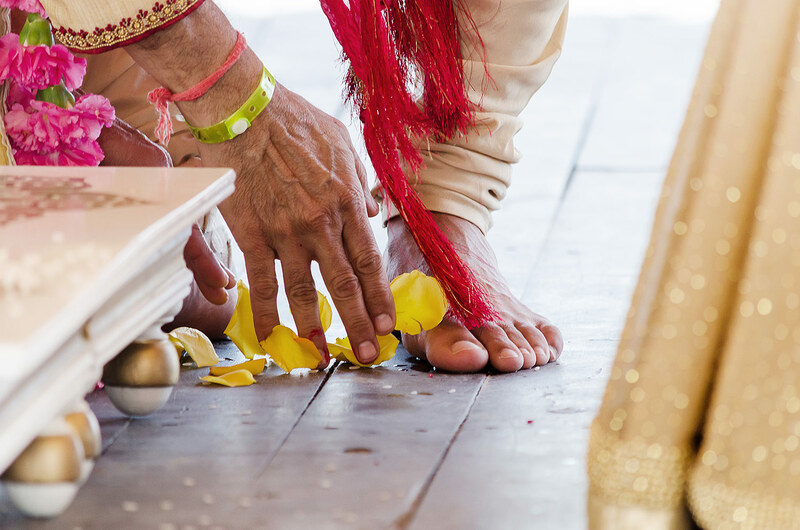 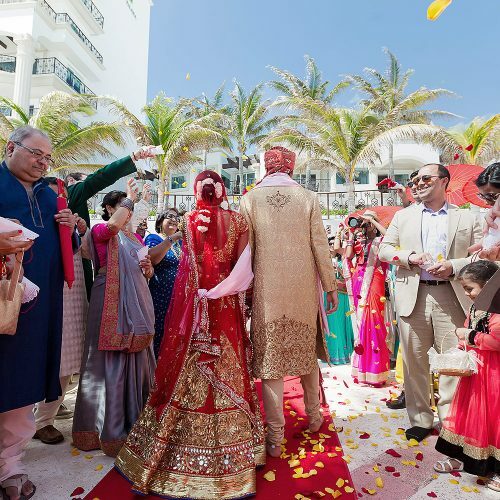 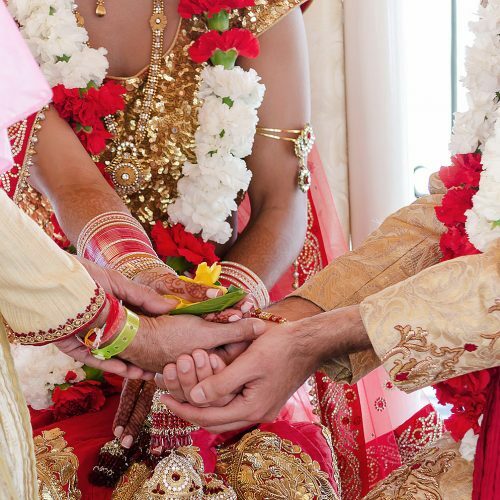 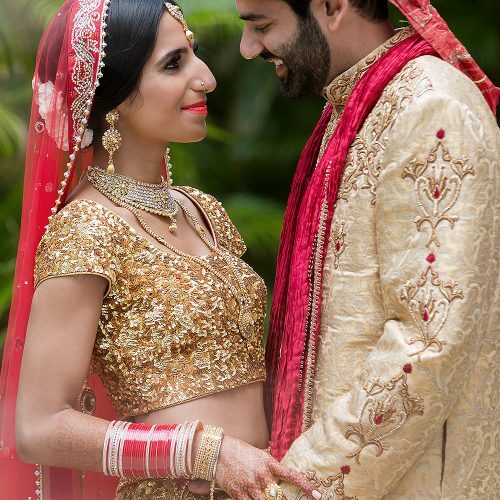 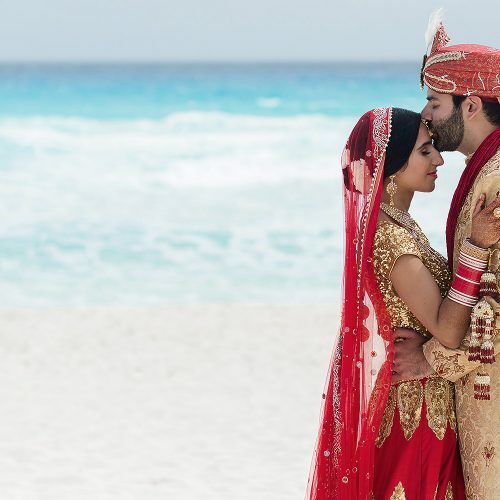 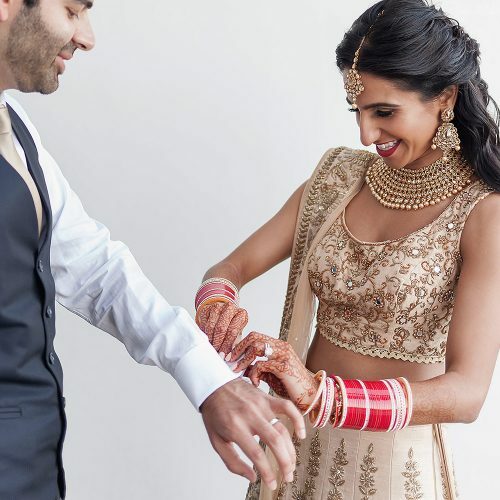 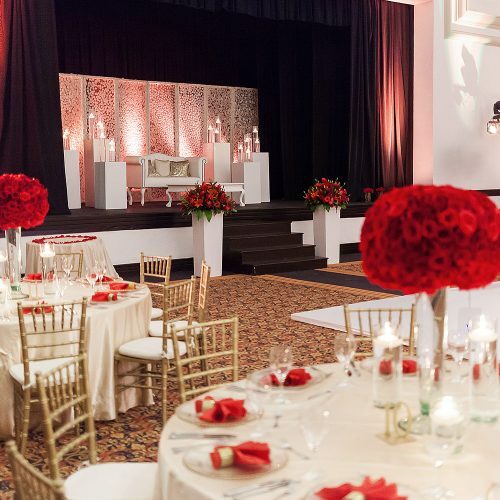 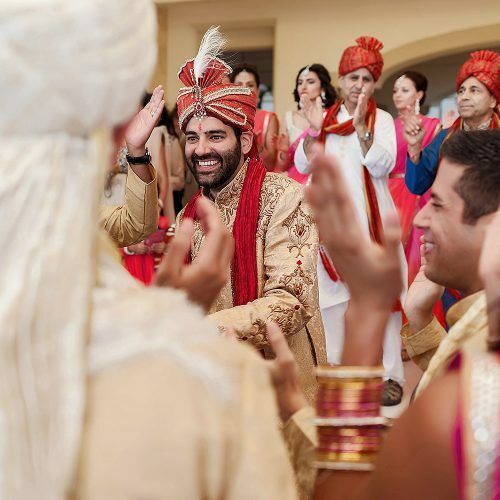 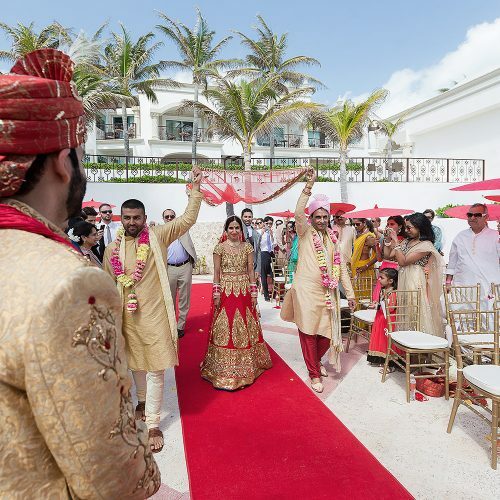 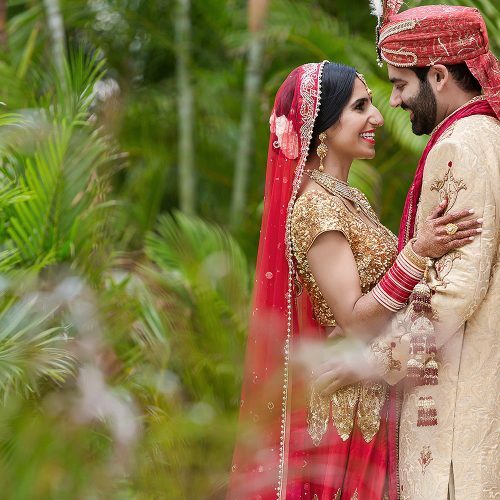 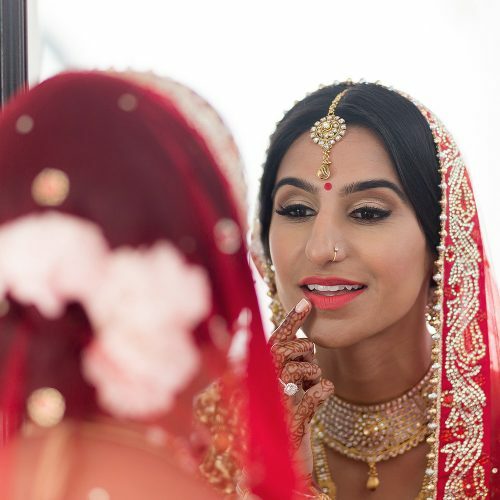 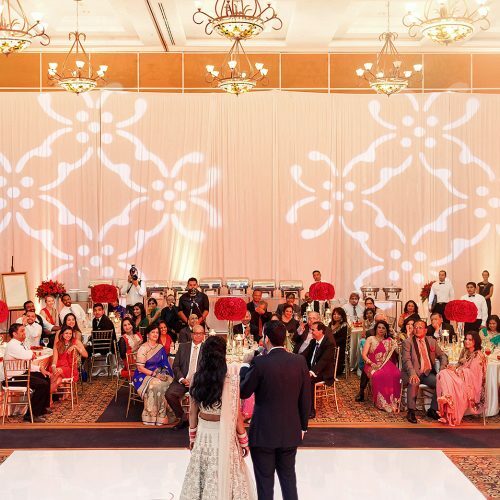 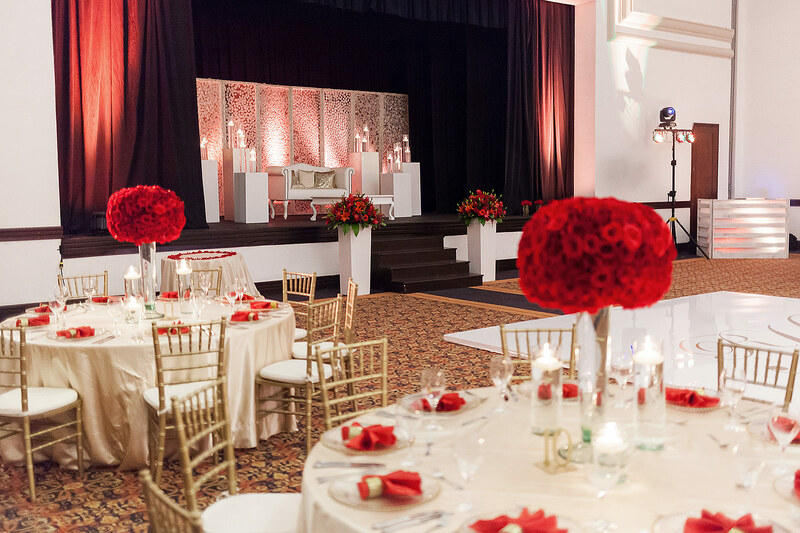 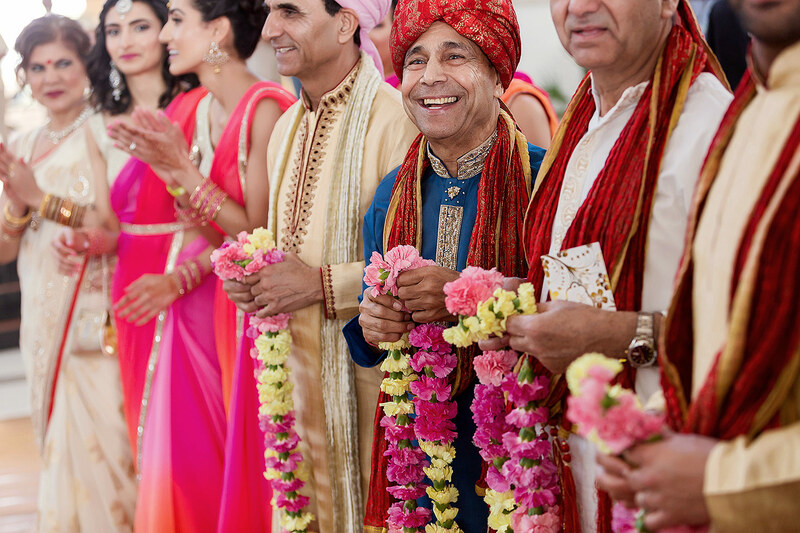 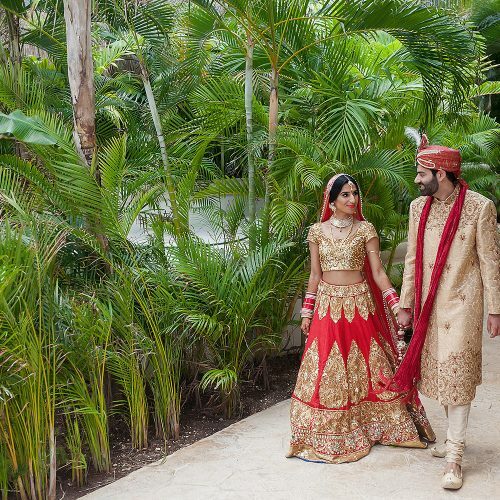 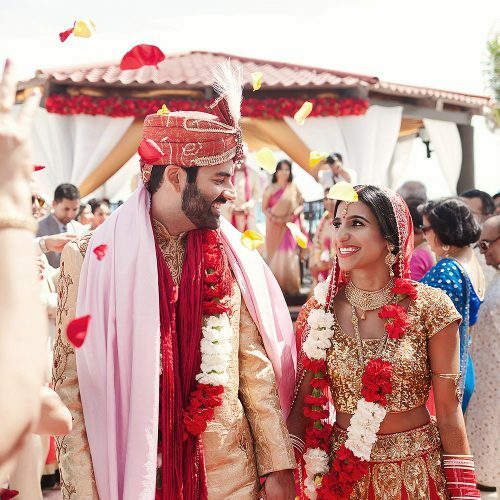 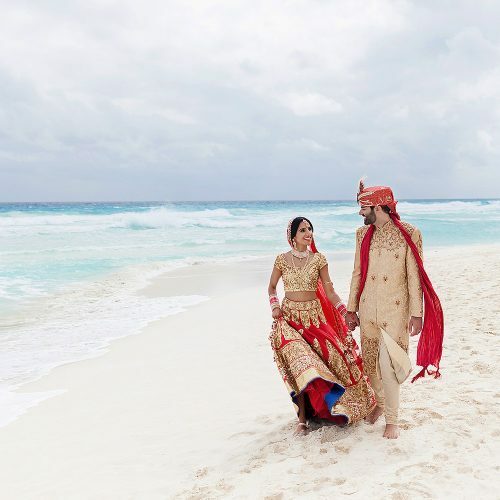 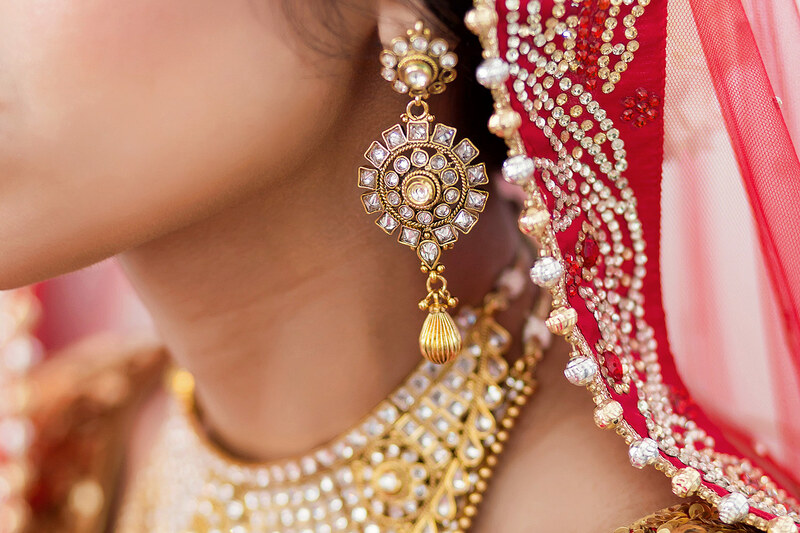 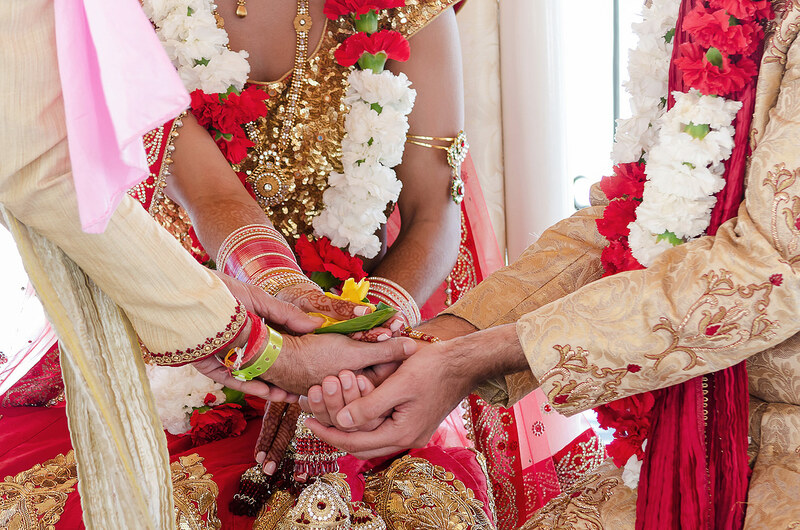 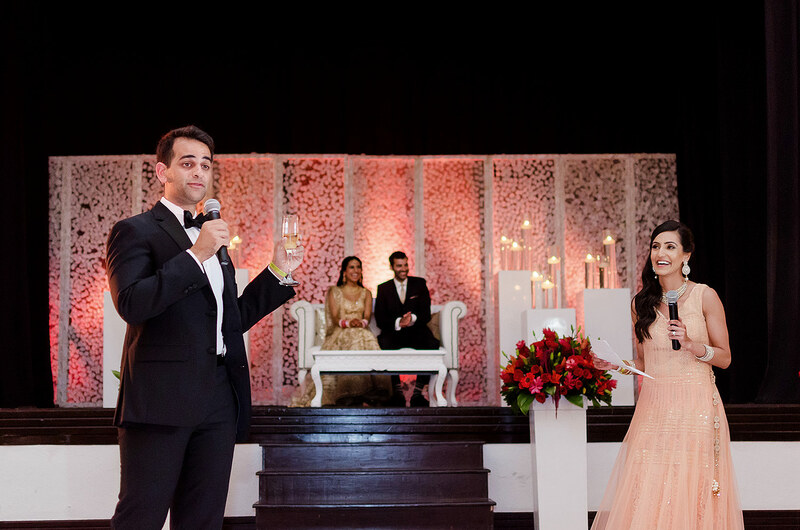 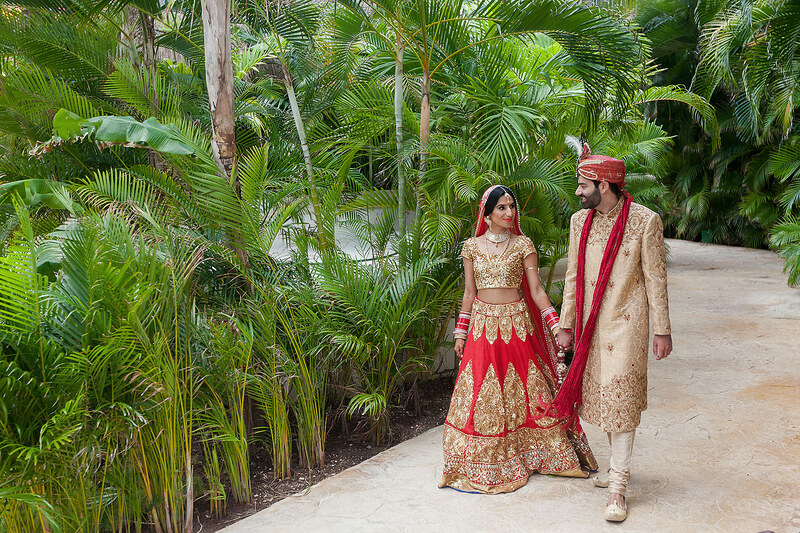 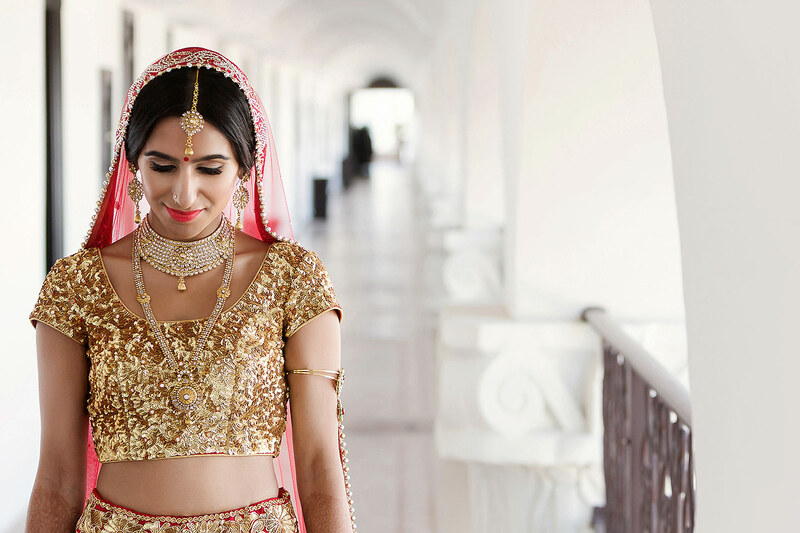 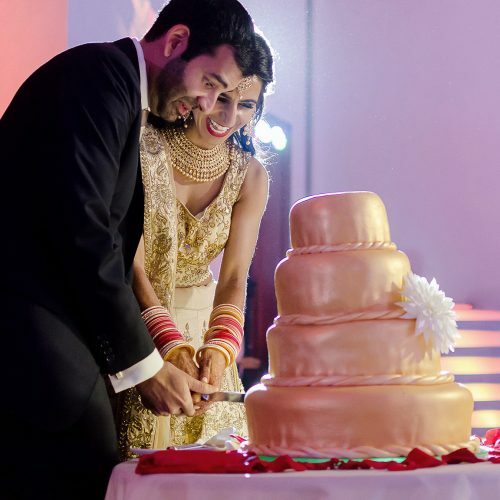 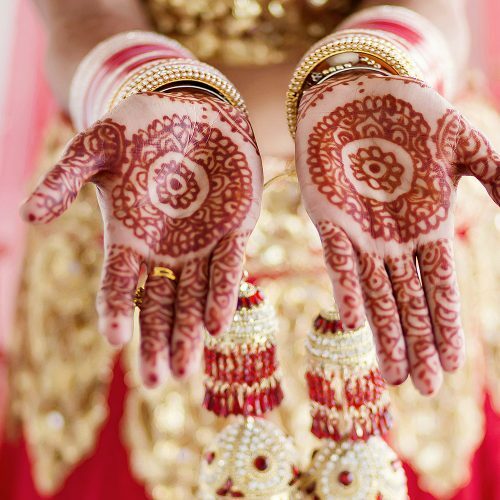 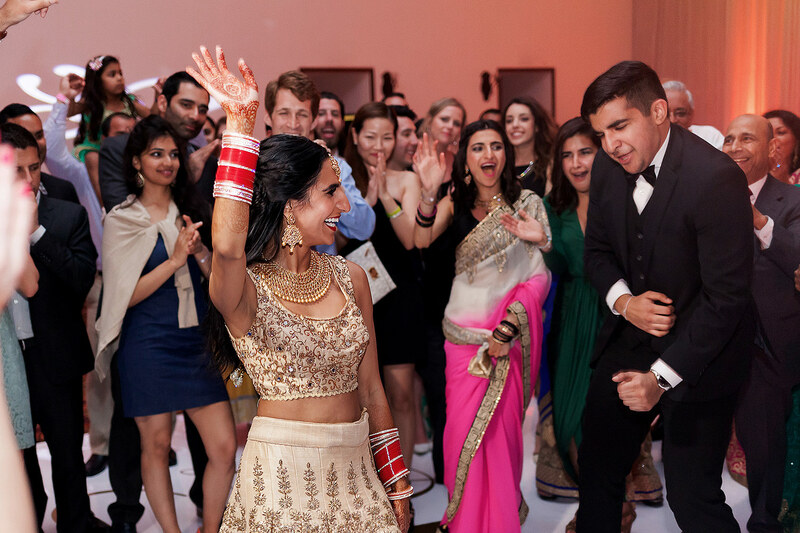 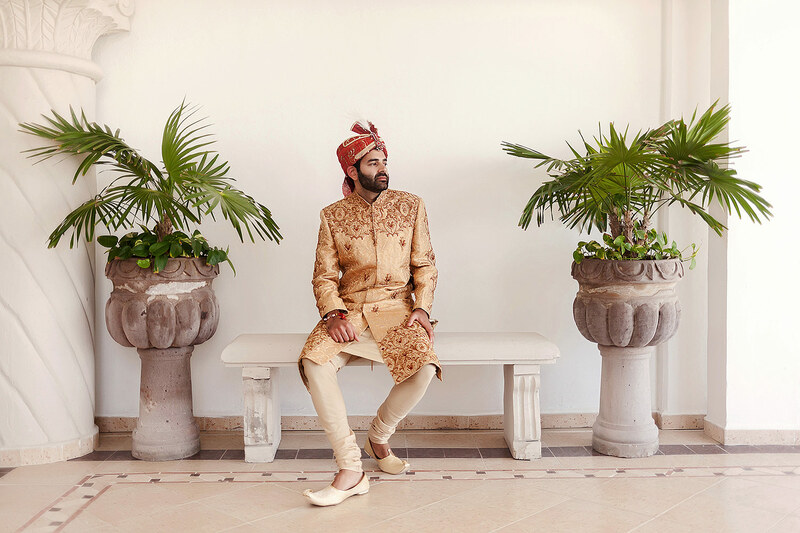 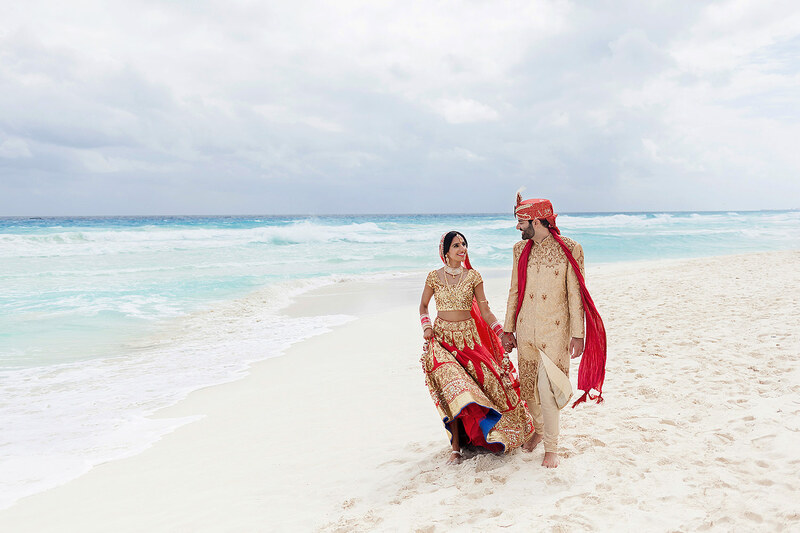 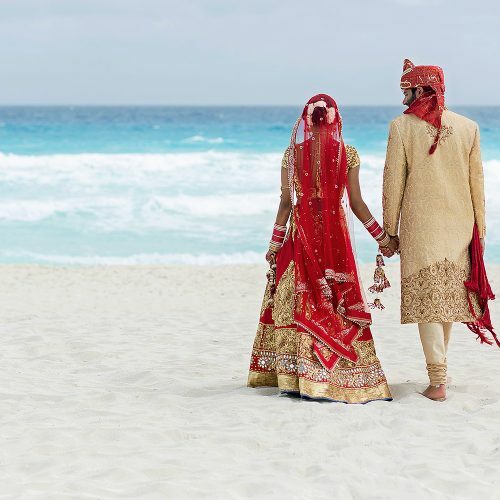 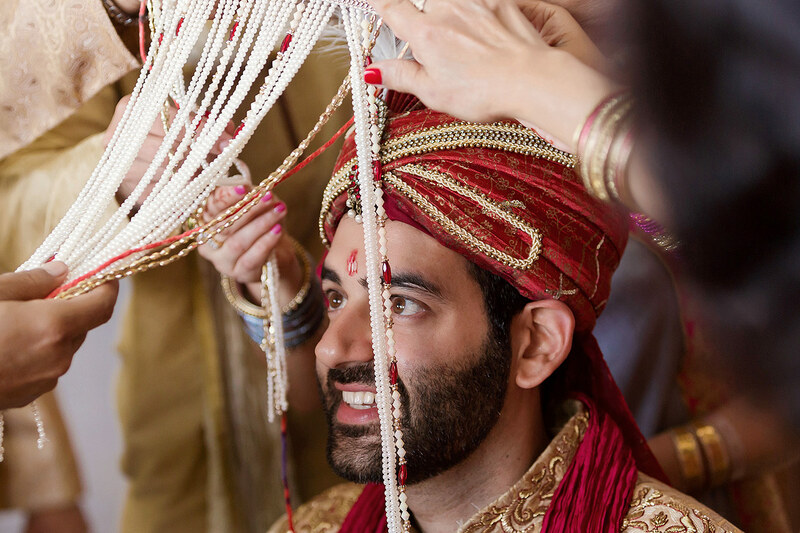 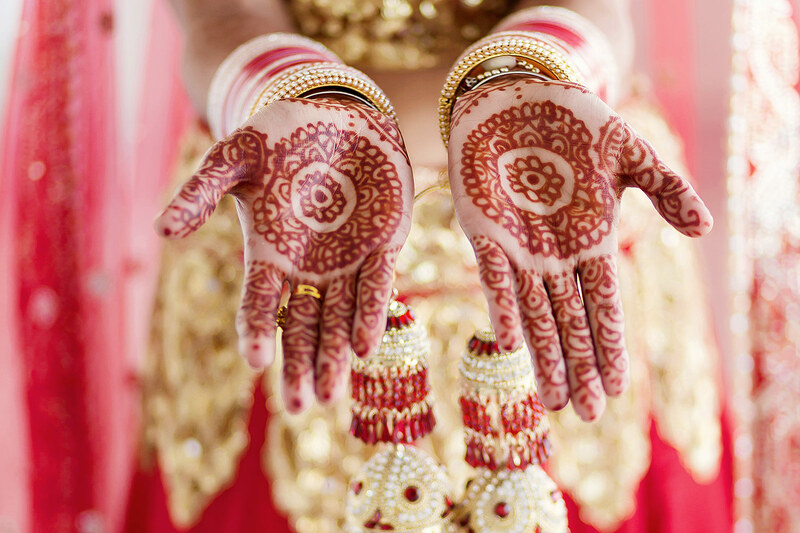 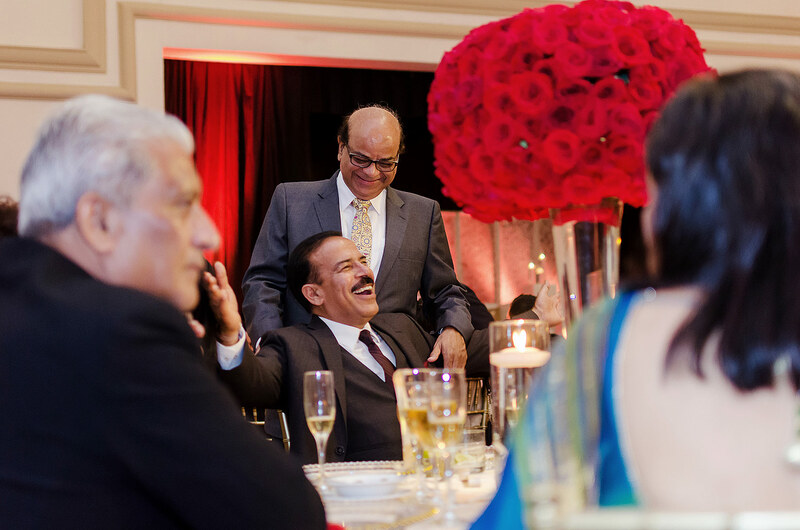 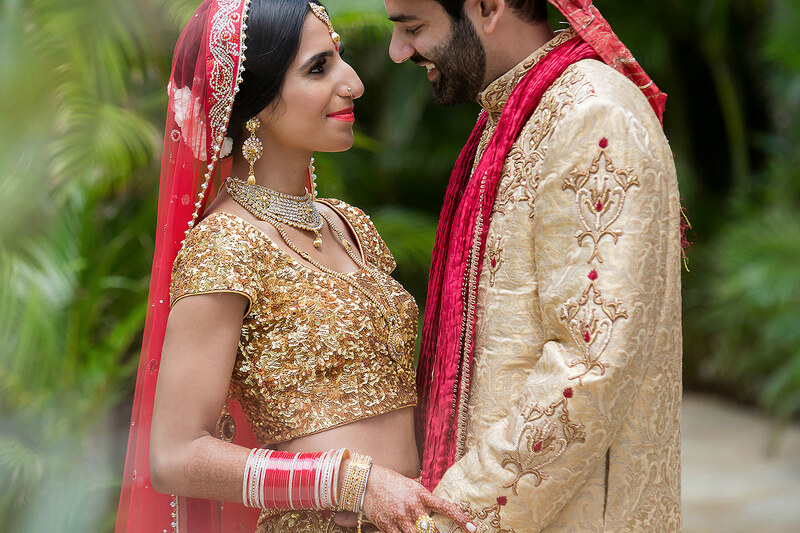 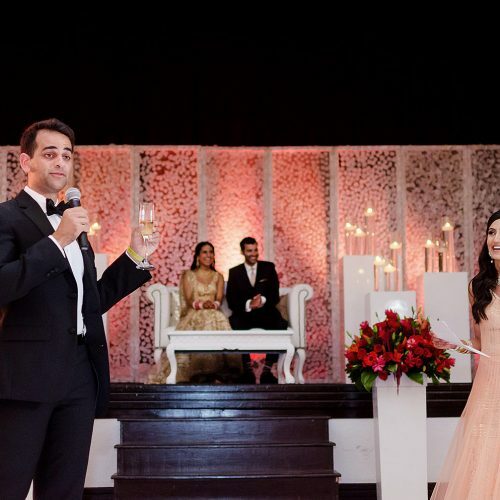 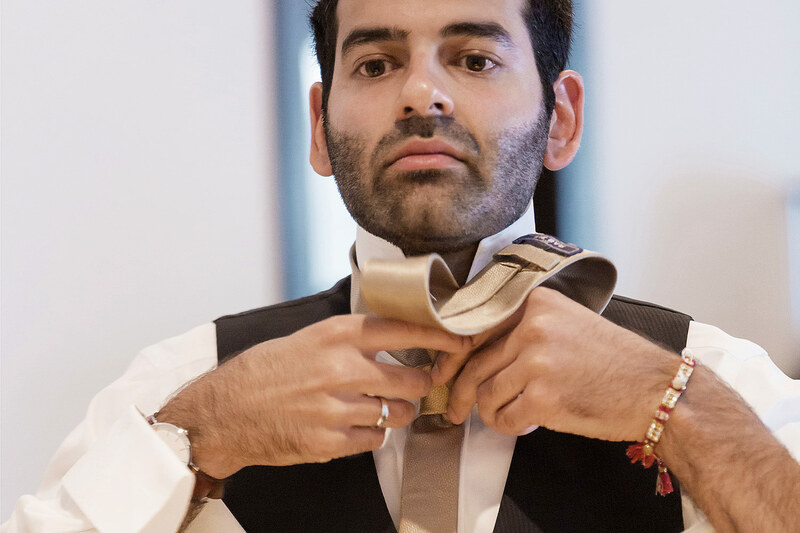 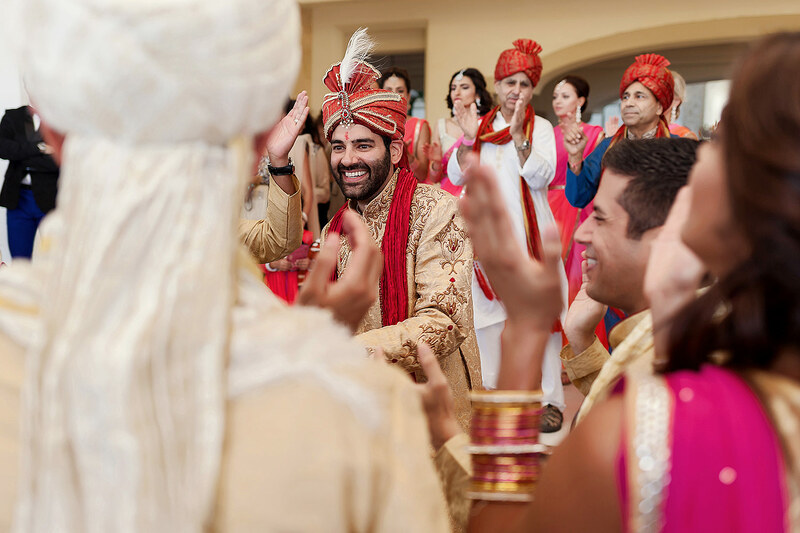 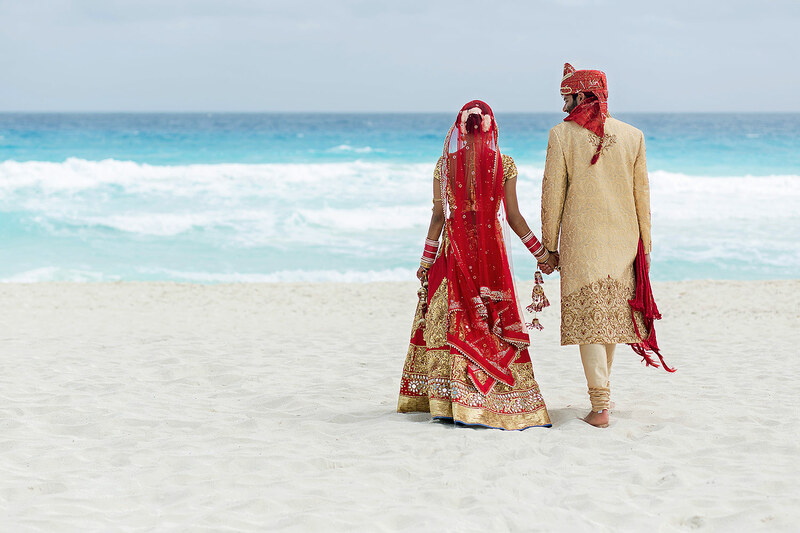 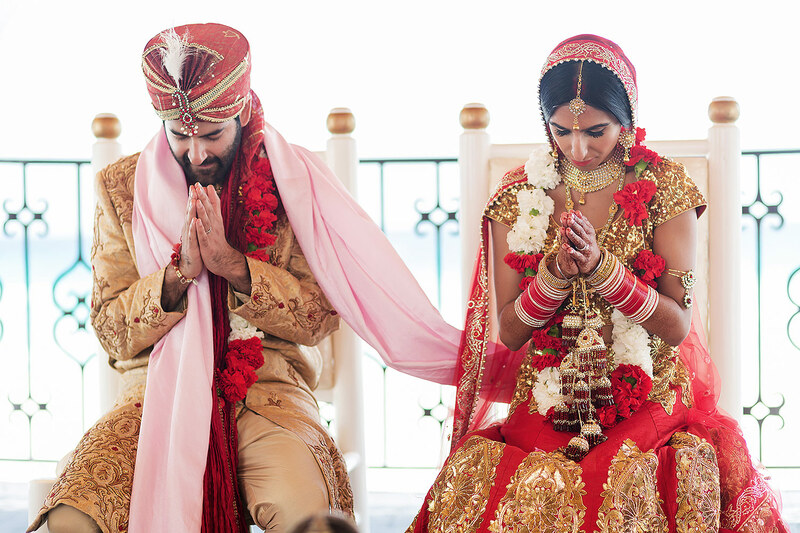 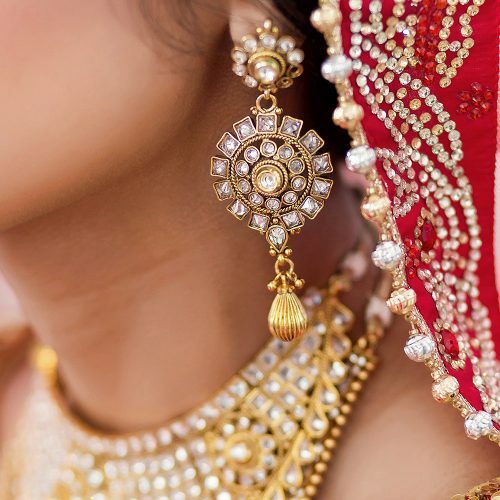 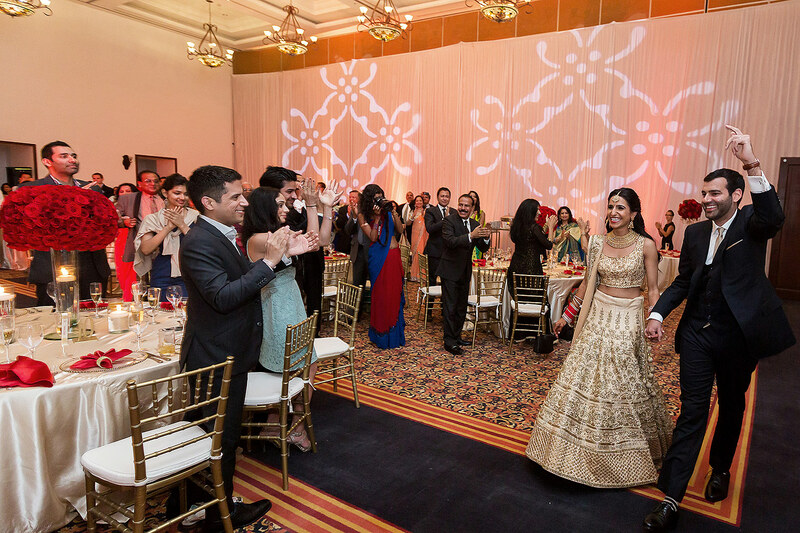 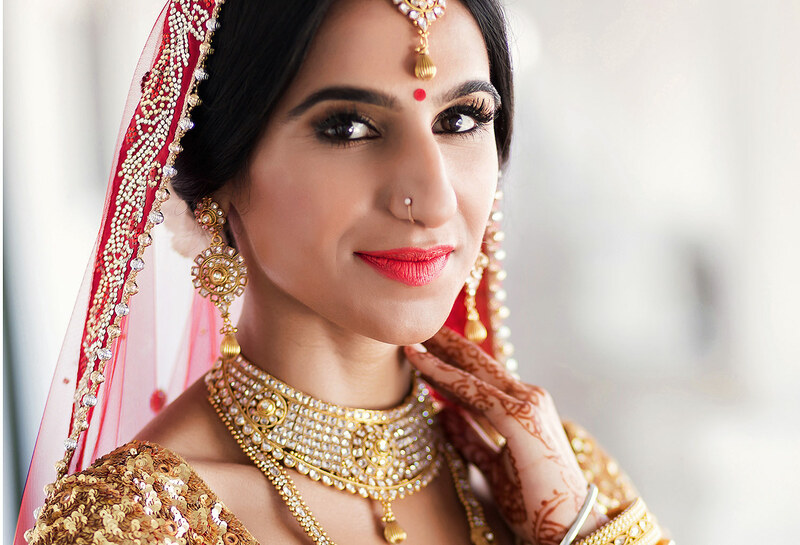 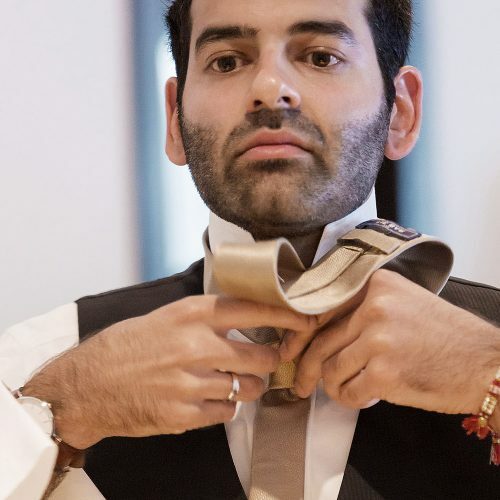 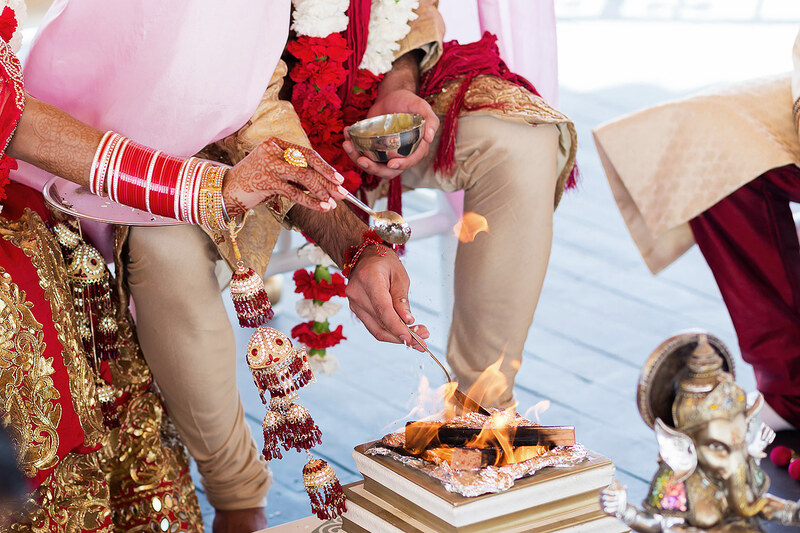 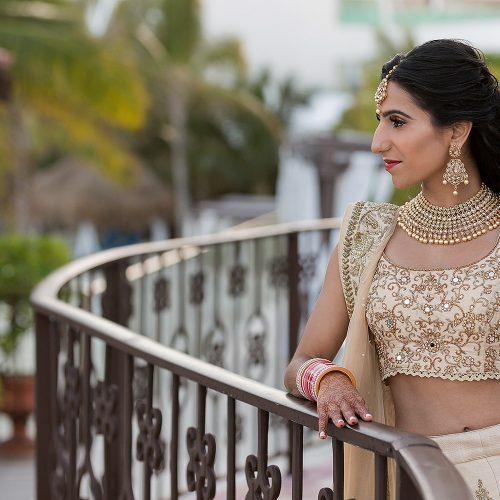 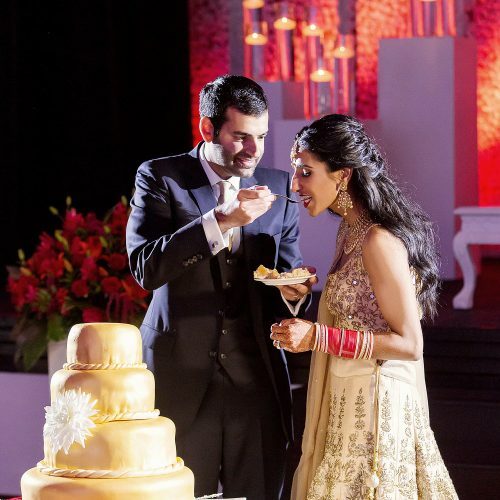 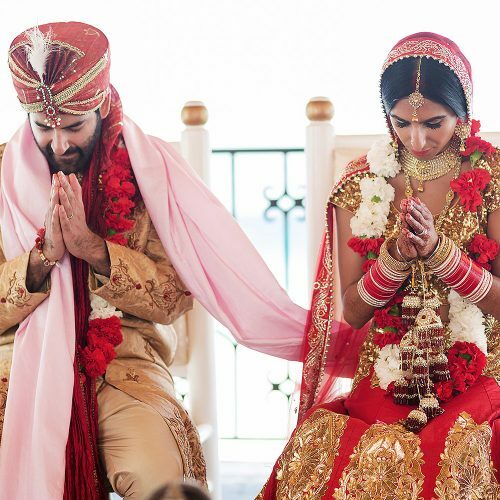 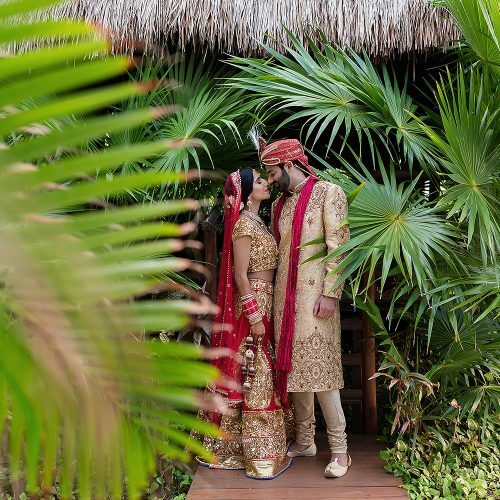 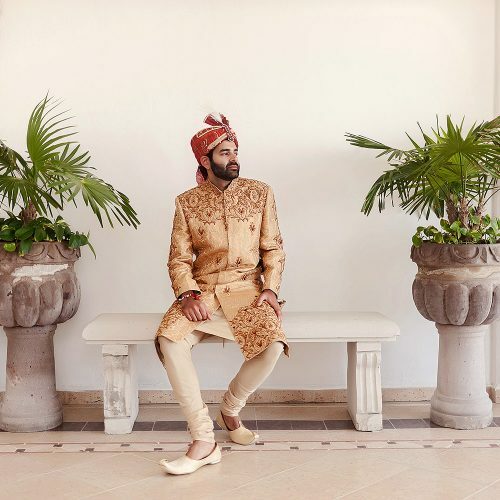 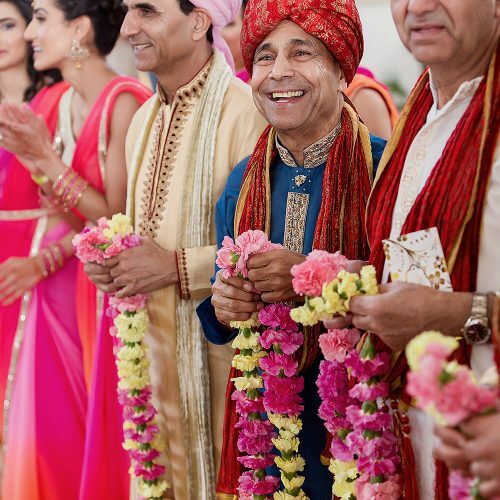 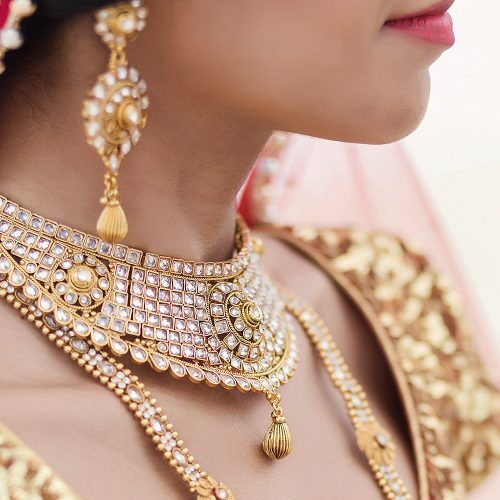 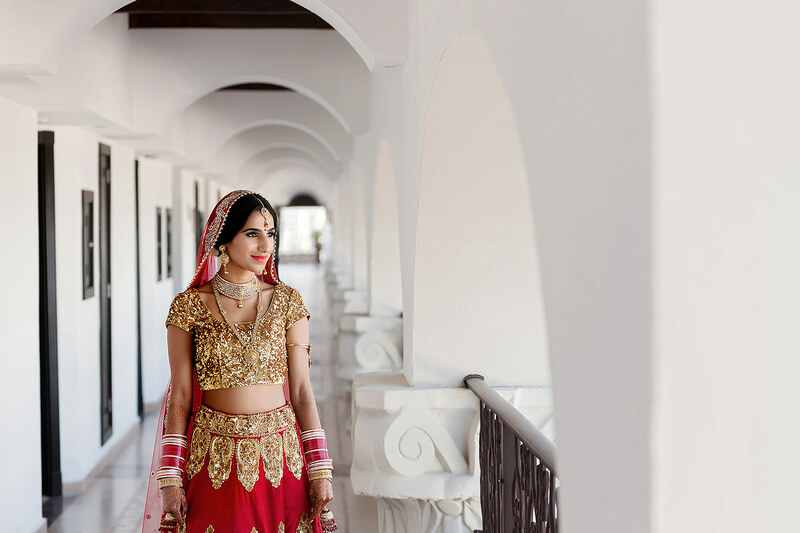 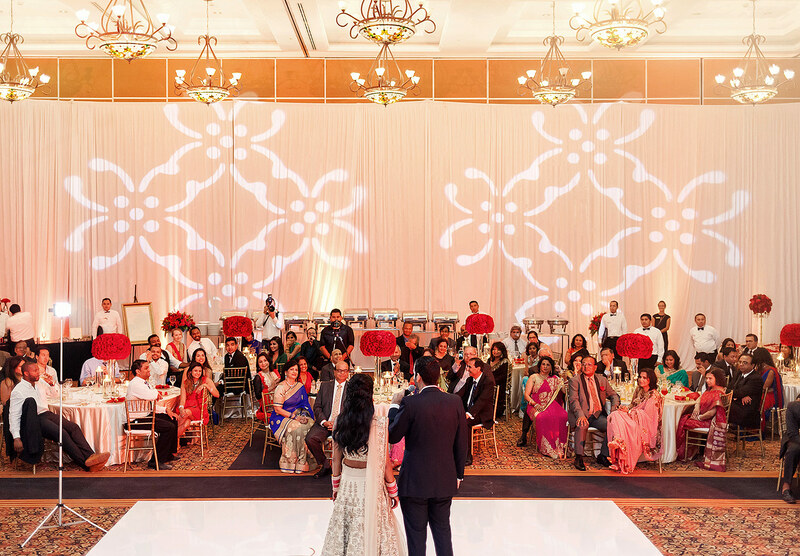 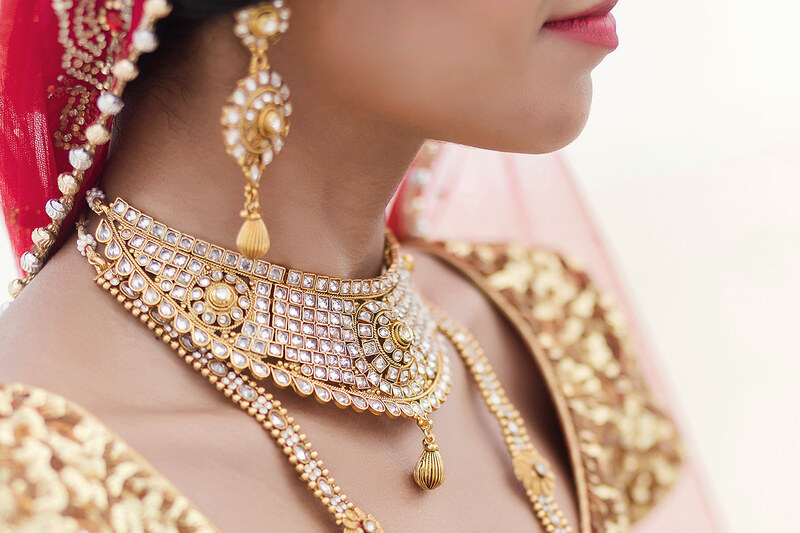 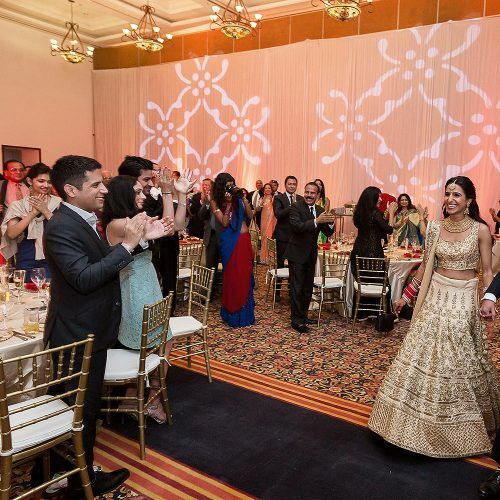 Rita and Samir’s Indian wedding in Cancun was a beautiful celebration of love with close family and friends held at the Hyatt Zilara resort in Cancun. 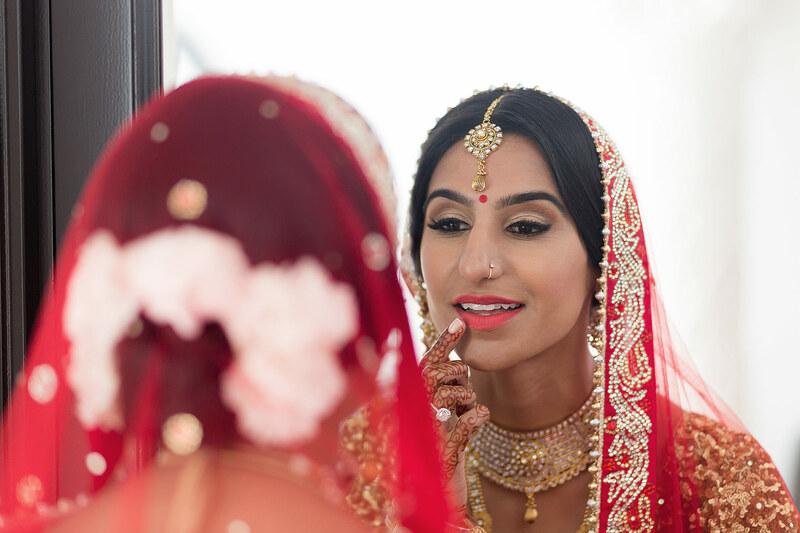 Traditionally Indian weddings start early in the morning as the ceremonies need to be completed by noon and we showed up at the hotel early in the morning to capture the final moments of getting ready and take some portraits before the official start of the ceremonies. 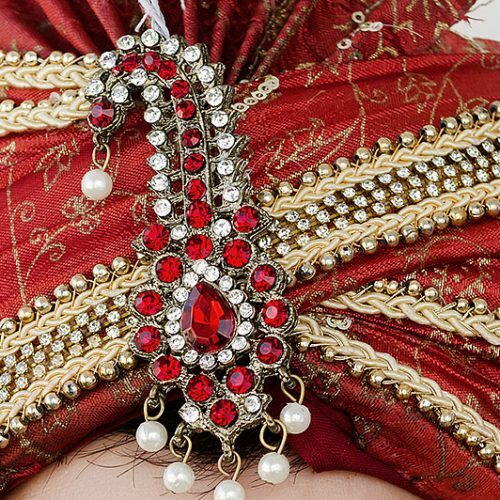 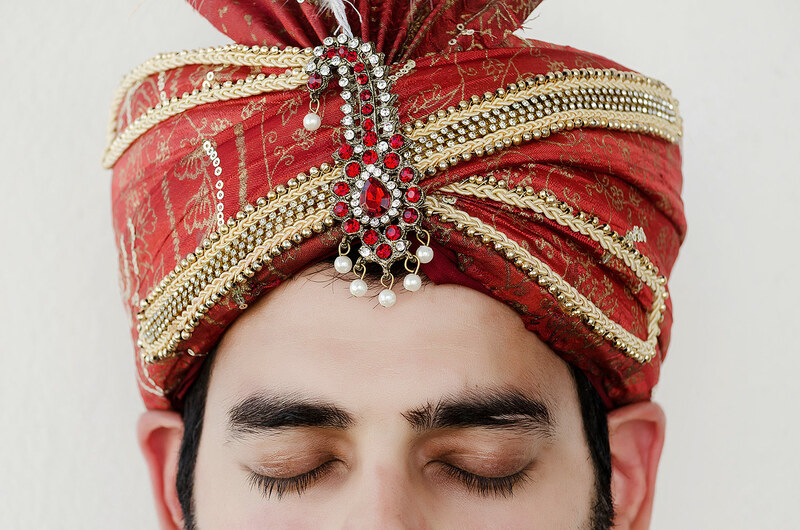 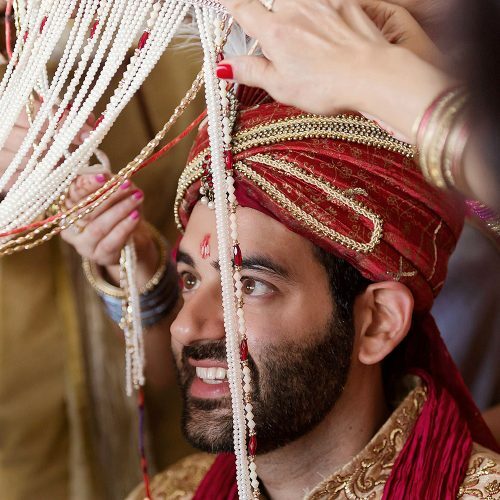 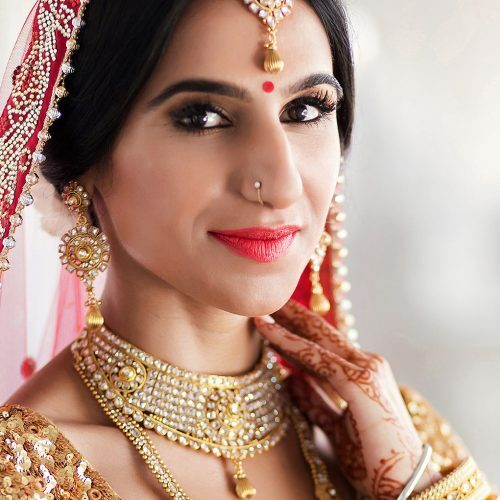 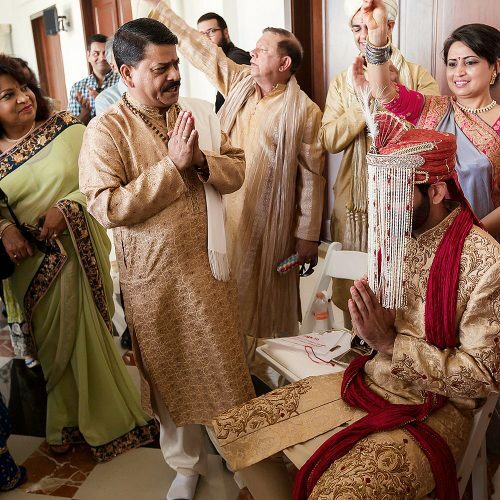 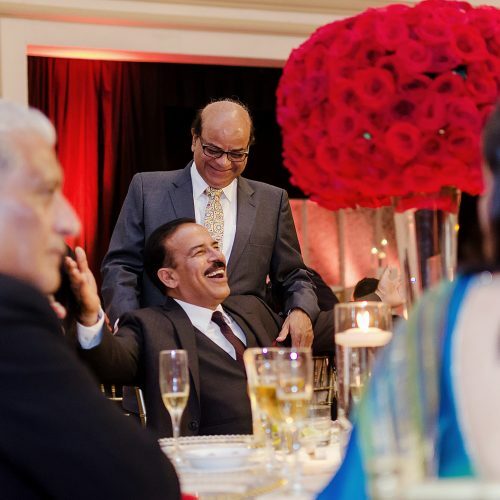 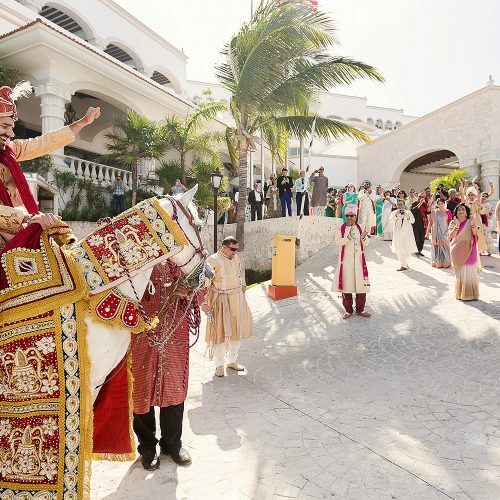 The ceremonies started with a Baraat which is the groom’s procession as it is customary for the groom to travel to the wedding venue (often the bride’s house) on a horse, accompanied by his family members. 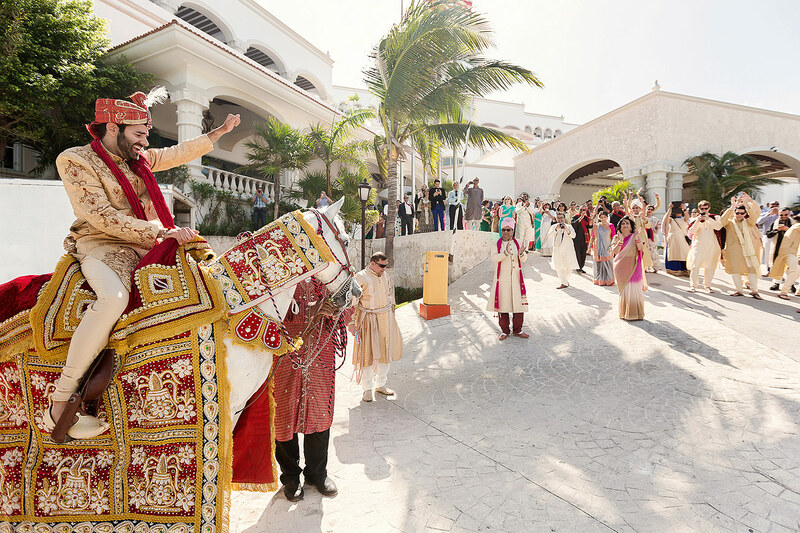 Now, when you are having a wedding in Mexico, you kind of have to work with what you have, but Rita and Samir were able to find a horse in Cancun and Samir was able to ride to the gates of the hotel with his family to meet Rita’s family and be officially welcomed to the wedding ceremony. 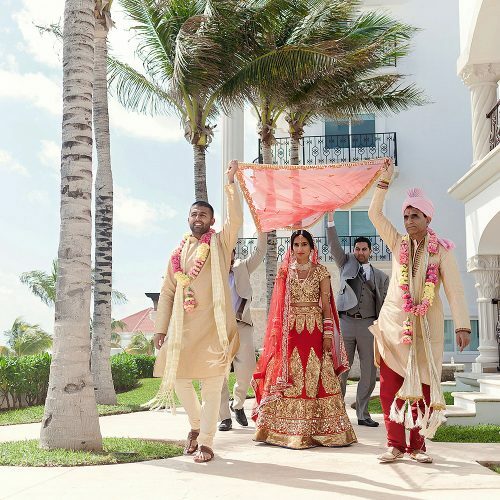 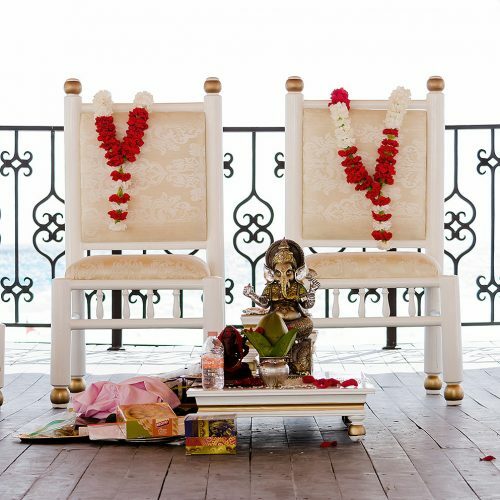 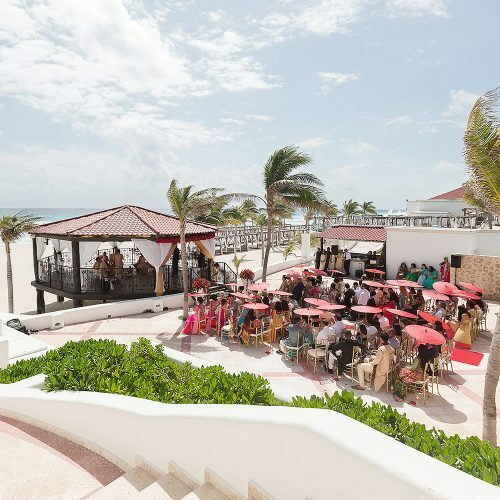 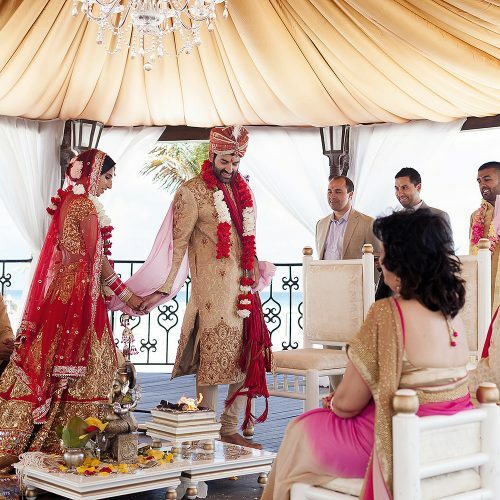 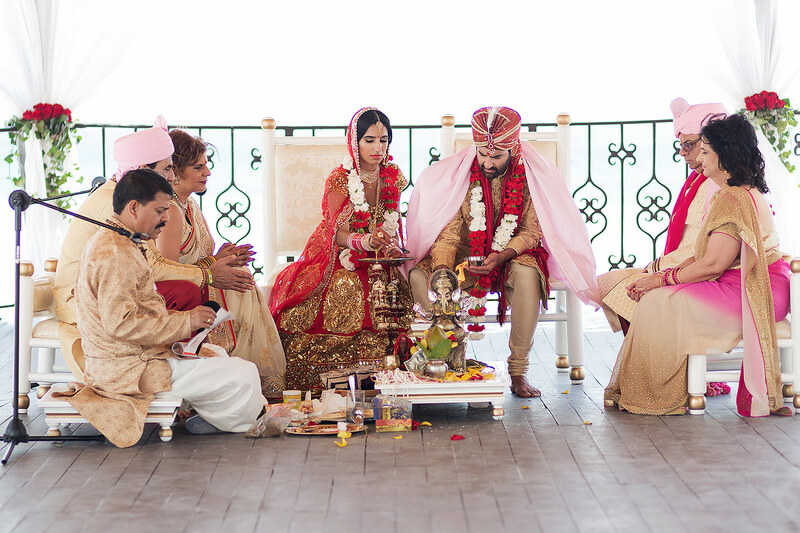 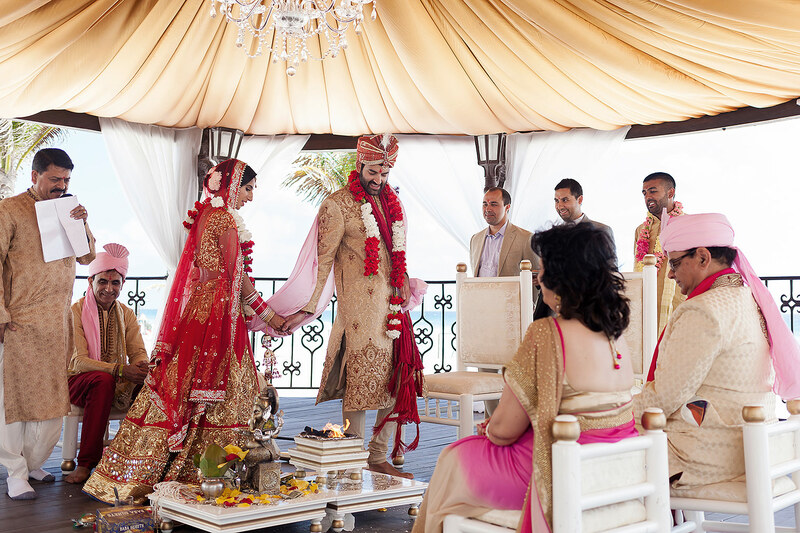 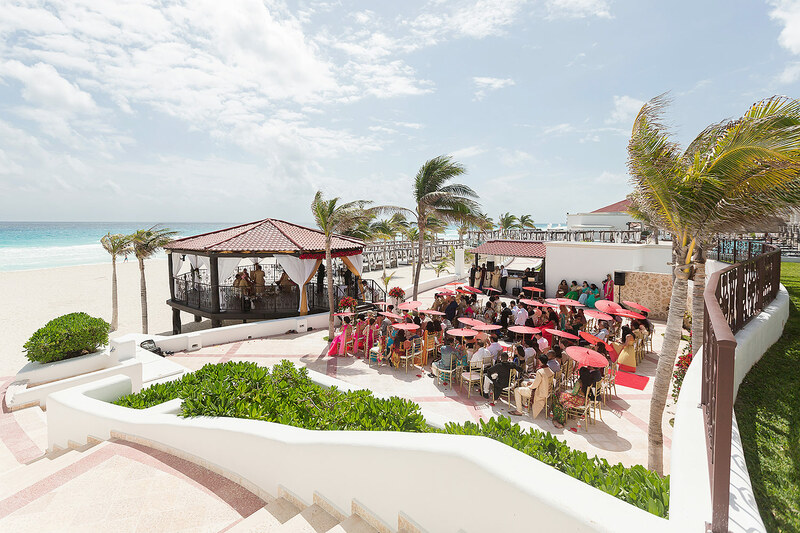 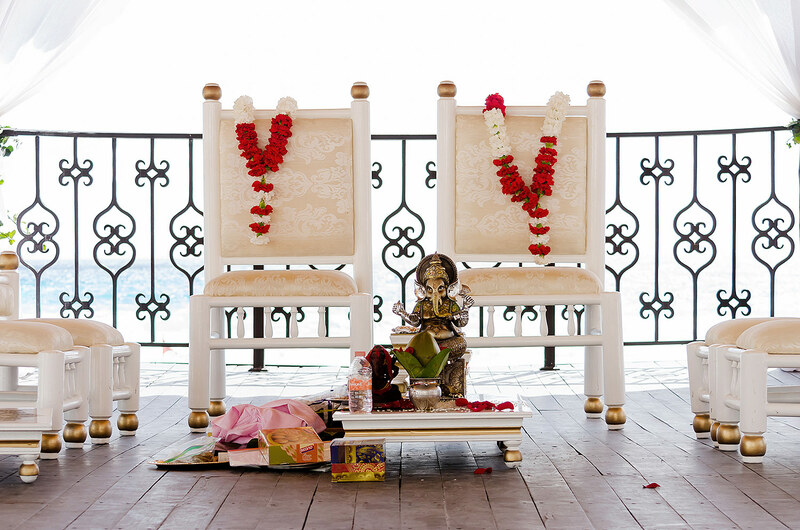 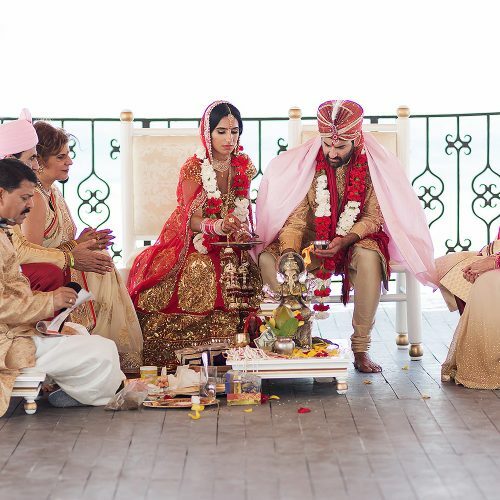 The Indian wedding ceremony was located in a gazebo on the beach that had a breathtaking view of the aqua blue waters of Cancun with the reception taking place inside a beautifully decorated ballroom later that evening.